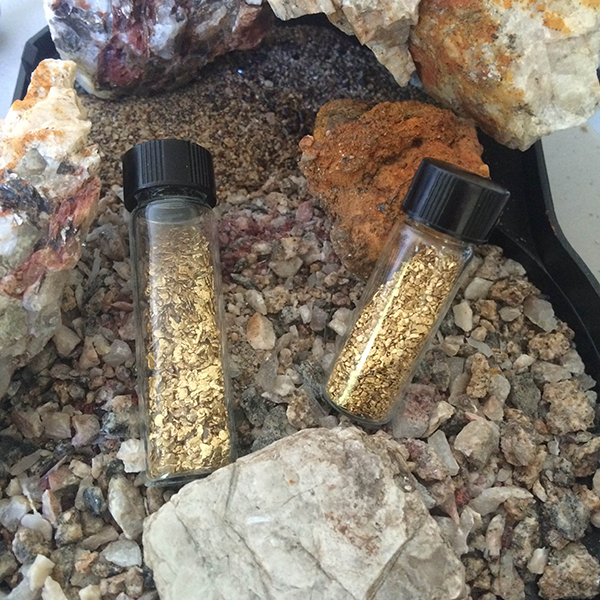 My review of Lesser Family Gold’s Treasure Sack at $50.00. I found this pay dirt to be good practice at panning with the fair amount of black sands in it. I found myself needing to go through the cons a few times looking for those gems that are known to show up in Lesser Family Gold’s Treasure Sack’s. For the good stuff: I found Silver buttons, gold flakes and pickers along with a small nugget.